Join Us at Barks & Bling! Join us at Zadok Jewelers for a day for the dogs! Bring your pup or come to adopt your new best friend at the Barks & Bling Adoption Drive. Browse paw-fect jewels from Heather B Moore and grab a bite to eat for people and pets alike from That’s My Dog Hotdog Cart or Three Dog Bakery. A portion of all proceeds goes towards Friends For Life. We will also have a raffle featuring this adorable Heather B Moore dog bone, which can be engraved with your fur baby’s name! Want to do more for our furry friends at Friends For Life? Check out their Amazon Wish List for the shelter’s up-to-date needs. As the only LEED-certified No Kill shelter in Texas, they can always use our help! Size 5 silver ID tag with a silver frame and a yellow gold stamped raised paw print. Hand stamped with “Dogs leave paw prints on our hearts” a dog’s name, birthday, and date of passing on the front, a nickname and portrait of the dog on the back. 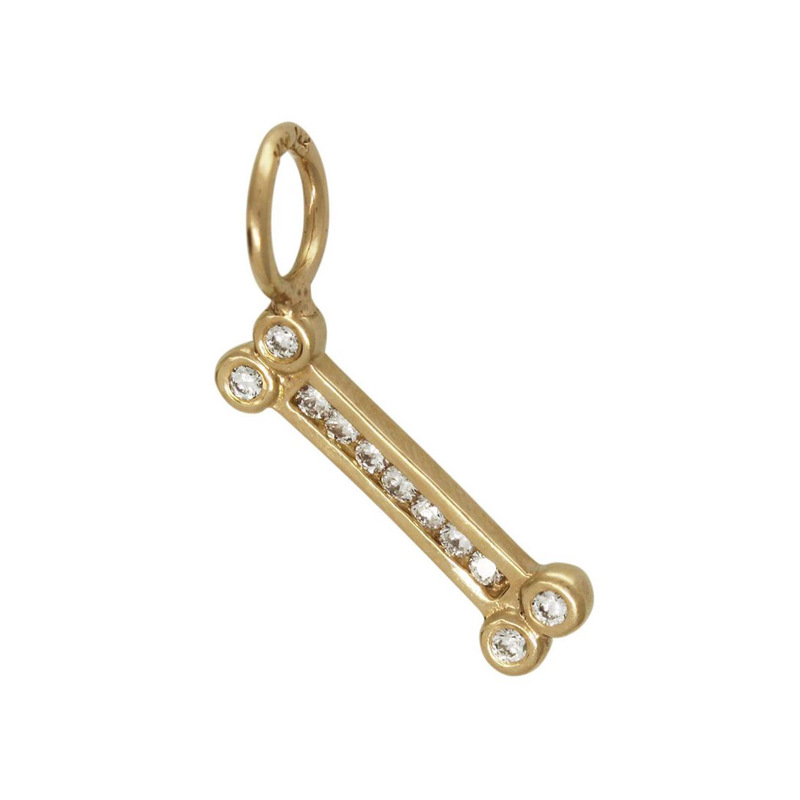 Solid gold channel set dog bone with white diamonds.